A TRUCKload of Vegan Activism! Credited for introducing and popularising most outreach formats used in India today for vegan advocacy, the ambitious #LivingFree activists and network aren’t ones to sit quietly. Enter India’s grandest outreach – Truth on Wheels! The idea for this innovative outreach came from the recent amendment to the transport rules in 2016. According to the amendment, animals being transported for slaughter are to be provided adequate space and ‘better’ travel conditions. Unfortunately, most of the times, these rules are not followed and the animals cramped, caged and forced into trucks for their death march, far from the conditions mentioned by the government! 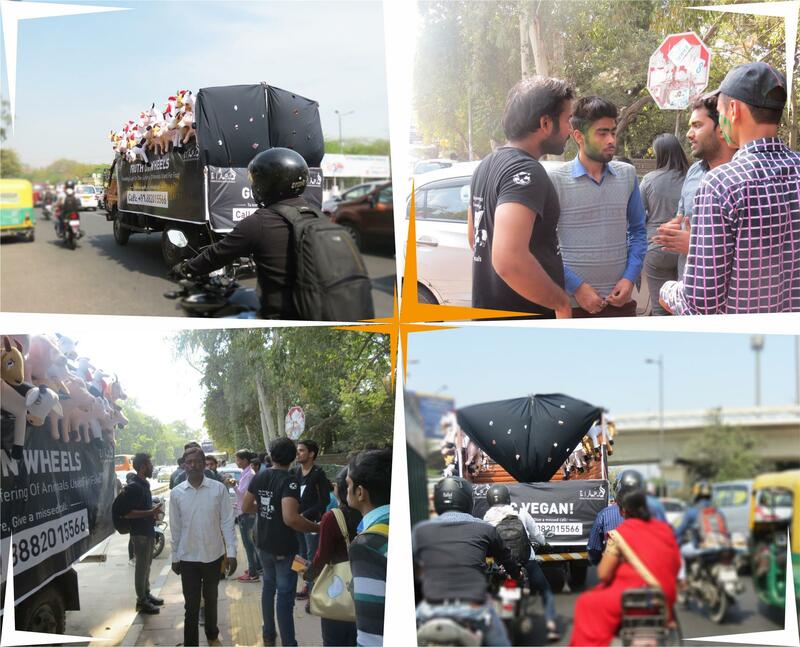 The response to the campaign was hugely rewarding – turning heads throughout its 40 km route, Truth on Wheels attracted salutes from passers-by, and instant missed calls to pledge support for the campaign. 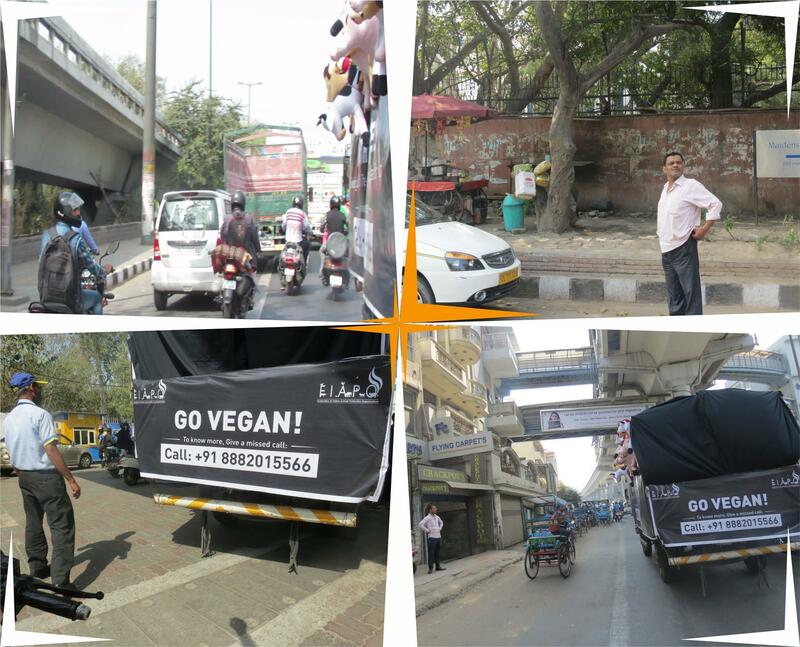 We are indebted to the Living Free Delhi team who made this a success, and now, we are all set with our pedal to the metal, roaring ahead to spread the message of compassion in other parts of the city as well.